Zank Payments is merchant services account provider which assists companies in getting great merchant rates where banks may deny them. They also provide merchant services for high-risk businesses. 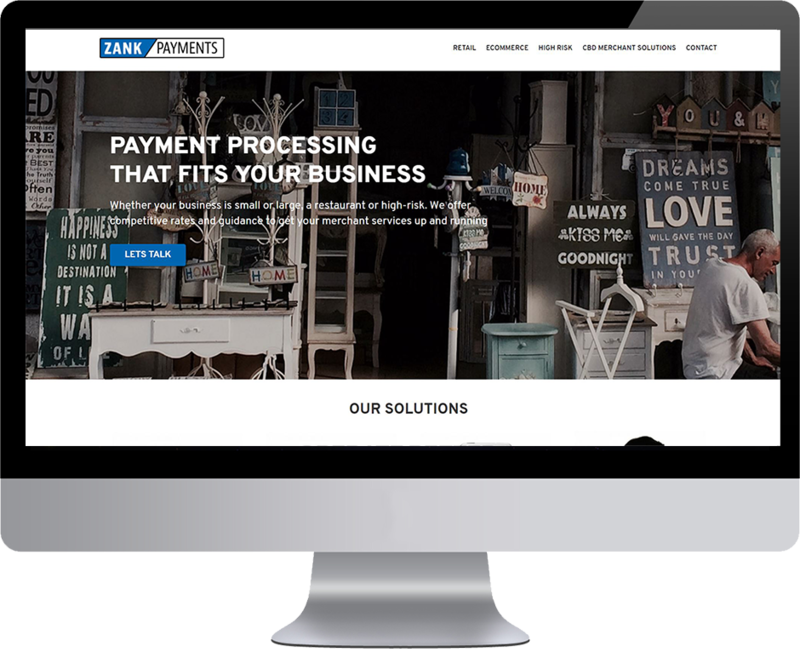 Zank Payments was in need of a new website that more clearly communicated the services they provide while creating a better image for their company. Street Smart Creative worked with Zank Payments to bring clarity to their goals and prioritize what information should be at the forefront. We took the time to understand their business so that we could create a more effective layout for their website.